This week I was so excited that the first day of Spring was almost here! And then it came...with 14 inches of snow! Public schools were closed and there was no going anywhere for a good two days here in West Virginia. Try as I might I just couldn't stop myself from baking. It happens every time it snows. I knew I couldn't run out to the store for ingredients so I decided to go on an expedition into my cabinets and fridge to see what I could use for inspiration. 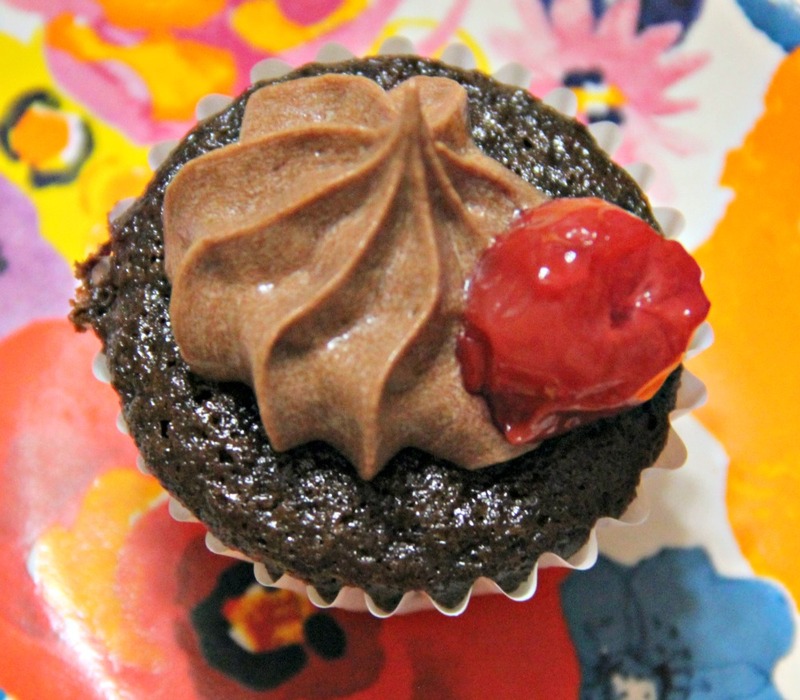 I came away with something the whole family agrees were some of my best cupcakes yet! Seems like Christmas was just yesterday and here we are with another holiday right in front of our eyes! Easter is almost here and Ben and I love putting together fun baskets for all of our kids. Of course I include a few sweet treats, (because what's Easter with out chocolate eggs, bunnies, and marshmallow chicks?) but I also prefer to fill our children's baskets with fun surprises they can enjoy long after the candy is gone. There's nothing more exciting to kids theses days than slime and squishy things! ORB has some great products to add to your Easter baskets this year, all under $15 making celebrating this Easter season easily affordable! 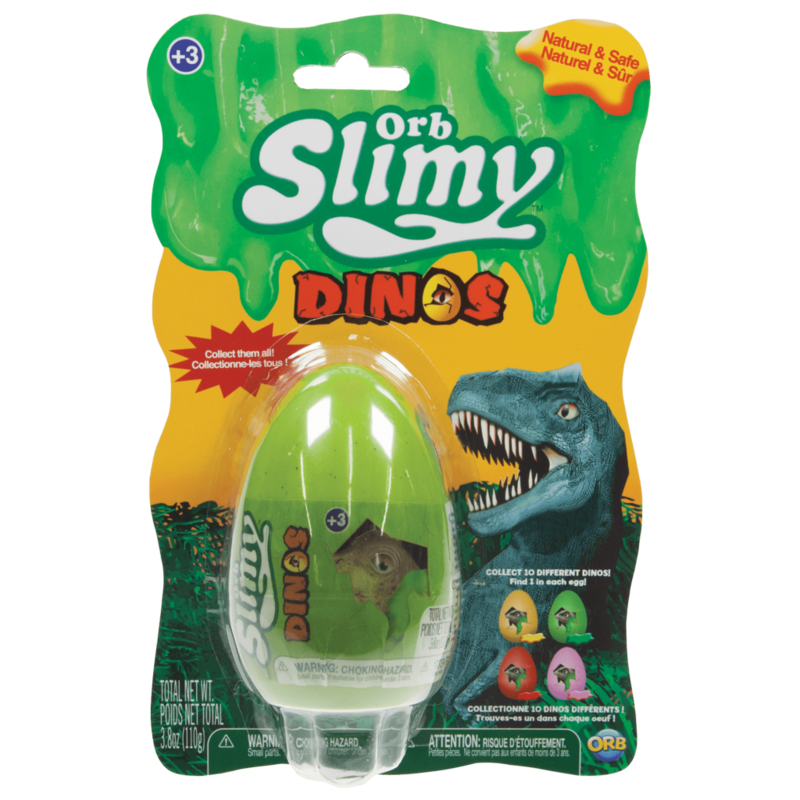 Find the Dinosaur in your OrbSlimy. Each Dino egg contains one of 10 mystery dinos to reveal. Collect them all. OrbSlimy is the best slime available on the market. It feels amazing and is completely non-sticky. Squeeze it, stretch it, ooze it, and more! 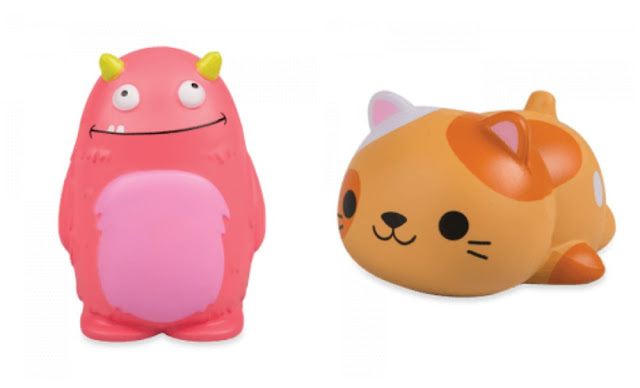 OrbSlimy is the tactile toy trend kids can't get enough of. OrbSlimy Original is the classic slime in an easy to store container. If there's one creative play toy my kids all agree is fantastically fun, hands down, it's slime! 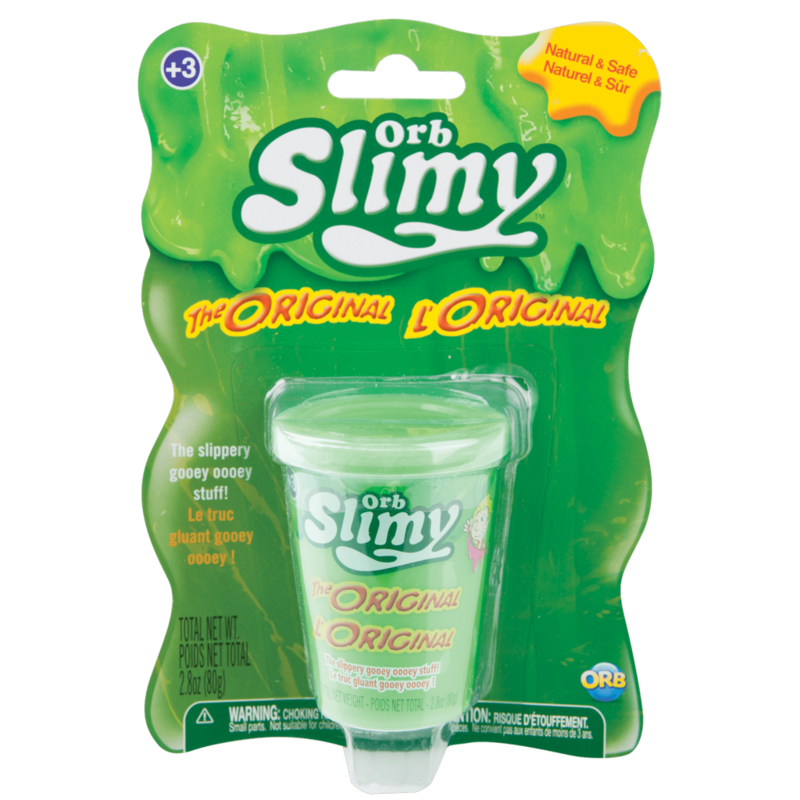 My daughter Eva constantly scours the internet looking for new slime recipes but she's not found any that come close to the feel and quality of ORB Slimy! The kids can't stop playing with it and I love that it's easy to clean and put away. The Dino Slime will be an extra special surprise in her Easter basket because in addition to loving slime, she's also a dino-lover! For Eva, there will be nothing better than digging her way through an egg full of slime to uncover a dinosaur treasure! Soft'n Slo Squishies are slow rising and ultra soft. Touch it, squeeze it, and watch your Soft'n Slo Squishies transform as it slowly rises. Elijah is my "softie" of all my kids and he simply can't keep his hands off of anything cute and cuddly. There are so many varieties of the Soft'n Slow Squishies that you simply have to go check them all out. Squishy food. Squishy animals. Squishy monsters. There's even squishy poo! My kids are going to get a kick out of playing with these fun sensory toys and I know they will make a cute addition to their Easter baskets this year. ORB Toys was just what I needed to add some hands-on-fun to our Easter baskets this year. 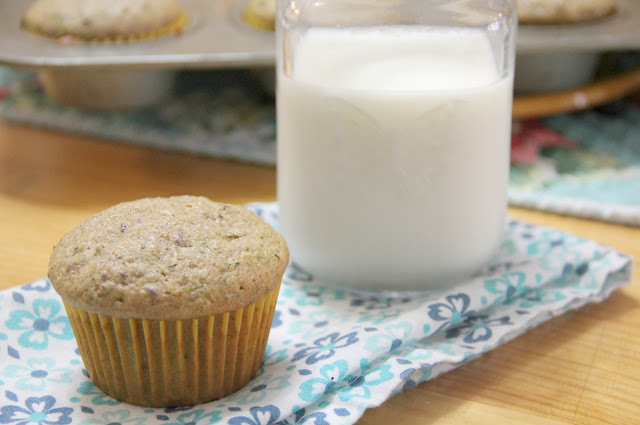 I love that their products are fun, adorable, and fit our budget. Sensory toys can be so much fun and I know my kids will be excited to discover these in their baskets on Easter morning. 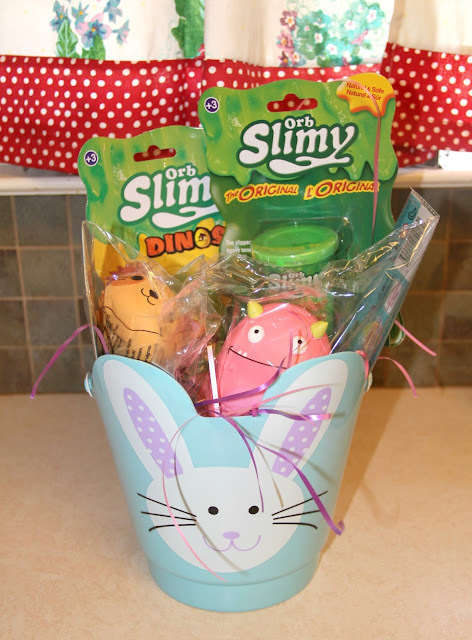 Click HERE to check out all the Easter possibilities with ORB Toys this year! 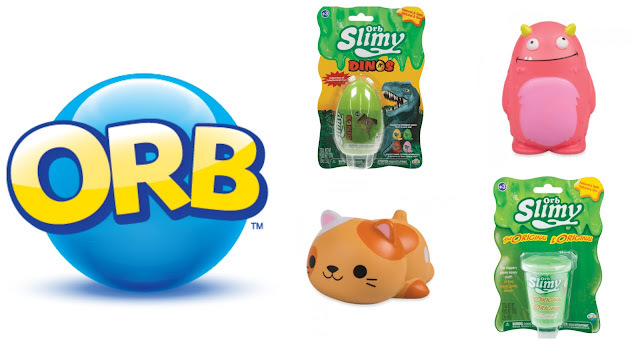 Follow ORB Toys on social media to hear about their latest products and promotions! Disclosure: I received the items picture above in exchanger facilitating this post. Our Southern Style is not responsible for prize fulfillment. One winner will be randomly selected using the Giveaway Tools random selector and notified via email. Once notified, the winner will have 48 hours to respond or a new winner will be chosen. 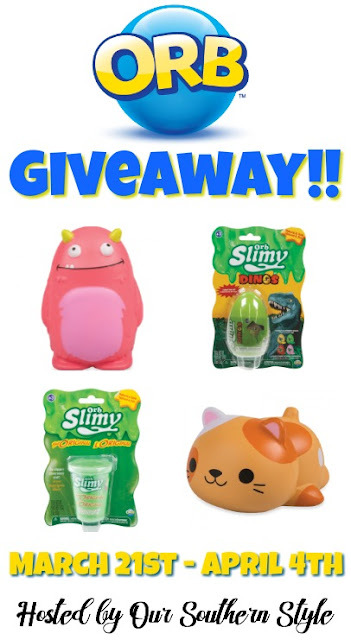 This giveaway is in no way associated with Facebook, Twitter, Pinterest, Instagram, or Google. Void where prohibited.